The Principality of Asturias is a Spanish autonomous community that has one province. The President of the Principality of Asturias, according to the Statute of Autonomy of Asturias, presides the Governing Council of the Principality. 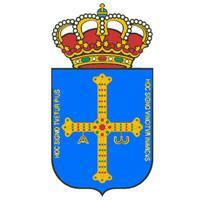 The preautonomous regime was established in Asturias on September 27, 1978. During that time Rafael Fernández Álvarez was named president and he continued holding office once the Statute was established. This list includes all the presidents of the principality ordered by the year in which they were elected.